It involved nearly 8,500 people in 47 countries and was the largest experiment ever done in heart failure. 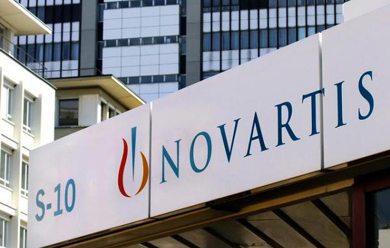 It was paid for, designed and partly run by Novartis, based in Basel, Switzerland. Independent monitors stopped the study in April, seven months earlier than planned, when it was clear the drug was better than an older one that is standard now. The new drug also seemed safe — reassuring because safety concerns doomed a couple of other promising-looking treatments over the last decade. There were more cases of too-low blood pressure and non-serious swelling beneath the skin with the Novartis drug, but more kidney problems, excess potassium in the blood and cough with the older drug. More people on the older treatment dropped out of the study than those on the new one. Since yeast cells do not have these complex structures and tissues, the Stanford team had to recreate the equivalent of poppy-like ‘chemical neighborhoods’ inside their bioengineered yeast cells.It took about 17 separate chemical steps to make the opioid compounds used in pills. Some of these steps occurred naturally in poppies and the remaining via synthetic chemical processes in factories. Novartis announced that its eye care division Alcon has entered into an agreement with a division of Google Inc to in-license its “smart lens” technology for all ocular medical uses. The agreement with Google[x], a team within Google that is devoted to finding new solutions to big global problems, provides Alcon with the opportunity to develop and commercialize Google’s “smart lens” technology with the potential to transform eye care and further enhance Alcon’s pipeline and global leadership in contact lenses and intraocular lenses. The transaction remains subject to anti-trust approvals. The agreement between Google and Alcon represents an important step for Novartis, across all of its divisions, to leverage technology to manage human diseases and conditions. Google’s key advances in the miniaturization of electronics complement Novartis’s deep pharmaceuticals and medical device expertise. Novartis aims to enhance the ways in which diseases are mapped within the body and ultimately prevented. • For people living with presbyopia who can no longer read without glasses, the “smart lens” has the potential to provide accommodative vision correction to help restore the eye’s natural autofocus on near objects in the form of an accommodative contact lens or intraocular lens as part of the refractive cataract treatment. Scientists have revealed that a combination drug therapy cures chronic hepatitis C in the majority of patients co-infected with both HIV and hepatitis C.
In a phase III clinical trial, doctors administered ‘sofosbuvir’ and ‘ribavirin’ to a total of 223 HIV-1 patients chronically co-infected with hepatitis C (genotypes 1, 2 or 3) either for 12 weeks (for treatment-naive patients with genotype 2 or 3) or for 24 weeks (for treatment-naive patents with genotype 1 or treatment-experienced patents with genotype 2 or 3). It was found that for treatment-naive patients, 76 percent with genotype 1, 88 percent with genotype 2 and 67 percent with genotype 3 were cured. Researchers said that have always termed this to be ‘sustained virologic response but they now know that means hepatitis C has been cured. 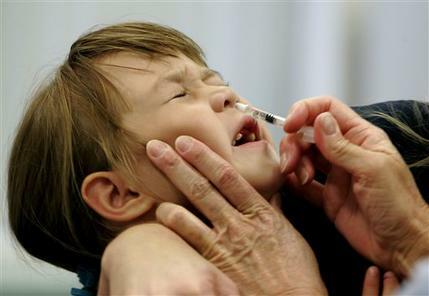 Spraying a flu vaccine up young children’s noses is more effective than giving them a shot, a U.S. government panel ruled Wednesday. The new recommendation, voted on during a meeting of the Advisory Committee on Immunization Practices, only applies to children aged 2 to 8, according to the Associated Press. 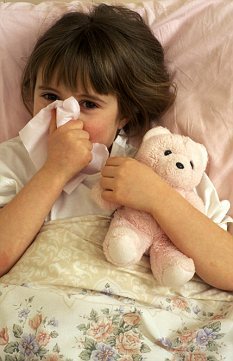 Currently, the only flu vaccine spray on the market is AstraZeneca’s FluMist, and it is approved for people aged 2 to 49. Instead of using a killed virus, the spray is made from a live but weakened flu virus, the wire service reported. The spray triggers a stronger immune response in children who may have never had the flu before, experts say. Kids within that age group are about half as likely to get the flu if they get the nasal spray vaccine instead of a shot, research has shown, the AP reported. Although federal health officials usually adopt the recommendations of the committee, the nation’s largest pediatrician’s group objected to the new recommendation, the AP reported. FluMist is more expensive, it can’t be used for everyone and doctors have already ordered their vaccine doses for the fall flu season, a representative of the American Academy of Pediatrics said during the meeting. 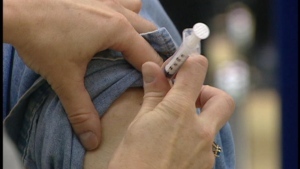 But health officials stressed that flu shots are perfectly fine to use, the AP reported. FluMist costs about $23; shots range from about $8 to $22. The U.S. Food and Drug Administration has sent a warning to the company that makes most of Canada’s annual flu vaccine. The U.S. regulator sent a letter to GlaxoSmithKline about conditions at the company’s manufacturing facility in Ste-Foy, Que. FDA investigators “documented deviations from current good manufacturing practice requirements” in the manufacture of the FluLaval vaccine and its intermediates,” the regulator said in a letter dated June 24. The regulator said the company had failed to take appropriate steps to prevent sterility and microbial contamination of products. The FDA also has concerns about the company’s purified water systems. The FDA warned that the company’s licence to produce vaccine for the U.S market could be suspended or revoked if the problems are not fixed quickly. GSK makes seasonal flu vaccine for the Canadian and U.S. markets. The company has 15 days to notify the FDA in writing about how it is correcting the violations. GSK, regulators work together GSK said it’s working with the agency to resolve the issues. “We are making progress addressing these concerns, and we are committed to working with the agency to fully resolve all outstanding issues,” GSK said in a statement. Health Canada said it is aware of the issues identified by the FDA. “Seasonal flu vaccines on the market currently are not impacted by these manufacturing issues,” a spokeswoman for Health Canada said in an email. “The government maintains contracts for vaccine production with a number of other companies and can request additional supply if needed,” the email said. Health Canada said it is working closely with the company and the FDA to determine the next steps. An experimental Johnson & Johnson drug for moderate to severe psoriasis proved significantly better at clearing the scaly, uncomfortable skin patches associated with the disease than a placebo, according to data from a midstage study presented on Saturday. The J&J biologic medicine, guselkumab, achieved the main goal of the Phase II study at all five dosing regimens tested by clearing or reducing the psoriasis to a minimal measure after 16 weeks of treatment in a far greater percentage of patients than in the group that received a placebo. It also appeared to be as good as or more effective than AbbVie’s big selling Humira at four of the tested doses. “The efficacy of guselkumab in the treatment of moderate to severe plaque psoriasis looks promising according to these Phase IIb study results,” Dr. Kristina Callis Duffin, one of the study’s investigators, said in a statement. Results were determined using Physician Global Assessment (PGA) scores – a zero to 5 scale in which 0 indicates the disease has been cleared, 1 represents minimal disease and 5 indicates the most severe symptoms. Guselkumab led to scores of 0 or 1 in as high as 86 percent of patients who received 100 milligrams of the drug every eight weeks, and in 83 percent of patients who were injected with 200 mg of the J&J medicine at the start of the trial and at week 4 and then every 12 weeks. At the lower end, 34 percent of patients who got 5 mg of the drug to start and at week 4 and then every 12 weeks achieved PGA scores of 0 or 1. That was still deemed to be statistically significant compared with 7 percent for those who got a placebo. 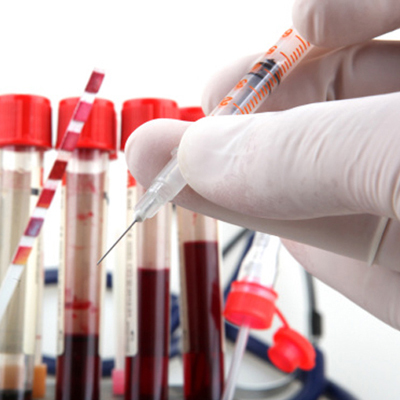 In the Humira (adalimumab) group, 58 percent had scores of 0 or 1 after 16 weeks of treatment. Results of the 293-patient trial, dubbed X-Plore, were presented at the American Academy of Dermatology (AAD) meeting in Denver. J&J has not yet said which of the treatment regimens would be advanced to larger, pivotal Phase III trials. Guselkumab, which would be a follow-up treatment to J&J’s Stelara, works by blocking interleukin-23, or IL-23, a protein that has been associated with chronic inflammation and is believed to play a role in psoriasis. Morningstar analyst Damien Conover said the drug “is really under the radar right now.” He currently sees sales reaching about $500 million several years after approval, but said estimates could change if later Phase III data were impressive. In addition to the primary goal, significantly higher proportions of guselkumab patients achieved at least a 75 percent improvement in psoriasis as measured by the Psoriasis Area Severity Index (PASI 75) at week 16. Those results ranged from 44 percent of patients taking the lowest dose up to 81 percent at higher dosing regimens. That compared with 5 percent for placebo and 70 percent for Humira. A 90 percent improvement was seen in as high as 62 percent of patients who got 100 mg of guselkumab every eight weeks. The results remained consistent or showed additional improvement after 40 weeks of treatment, the company said. After a year of treatment, serious adverse side effects were reported in 3 percent of those treated with guselkumab and 5 percent for Humira. There were no cases of tuberculosis or opportunistic infections. One guselkumab patient reported a malignancy and there were three major adverse heart events, including one fatal heart attack, in patients with pre-existing cardiovascular risk factors, the company said. Psoriasis, an immune-system related disease that causes an overproduction of skin cells resulting in patches of thick inflamed skin covered with silvery scales, affects 125 million people worldwide and about 7.5 million Americans, according to the National Psoriasis Foundation. Some U.S. doctors are becoming concerned about the quality of generic drugs supplied by Indian manufacturers following a flurry of recalls and import bans by the Food and Drug Administration. India supplies about 40 percent of generic and over-the-counter drugs used in the United States, making it the second-biggest supplier after Canada. In recent months, the FDA, citing quality control problems ranging from data manipulation to sanitation, has banned the importation of products from Ranbaxy Laboratories Ltd, Wockhardt Ltd and, most recently, Sun Pharmaceutical Industries Ltd.
Indian drugmakers are by no means the only companies to recall products or be warned by the FDA about manufacturing problems. For instance, quality control failures at Johnson & Johnson forced the company to recall dozens of products over the past five years, ranging from artificial hips to children’s Tylenol. And last year, Germany’s Boehringer Ingelheim said it would shut down its U.S. contract manufacturing unit, Ben Venue Laboratories, after it was cited for repeated manufacturing violations that led to shortages of the cancer drug Doxil. India’s drugmakers, a $14 billion industry, reject any criticism that their products are inferior to drugs made in other countries. Generic drugs account for nearly 85 percent of medicines prescribed in the United States and the government is relying on them to help rein in healthcare costs. Increasingly, Lever said, he is recommending patients seek out generic drugs from specific manufacturers outside India. Indian physicians do not share the concerns. A 2012 report by India’s parliament alleged collusion between pharmaceutical firms and officials at the Central Drugs Standard Control Organization (CDSCO), the country’s drugs regulator, and described an agency that was both understaffed and underqualified. Saini said physicians trust that the CDSCO is taking care of the quality and the standard of the drugs made in India. “We very much trust those medicines,” he added. Representatives of Ranbaxy, Sun and Wockhardt were not immediately available to comment. Dr. Joel Zonszein, director of the Clinical Diabetes Center at Montefiore Medical Center in New York, said he is concerned about the quality of generic drugs in general, not just those from India. He cited, as an example, his experience with the diabetes drug metformin. “When patients open the bottle of medication it smells like dead fish,” he said. Zonszein did not know which company made the foul-smelling drug. 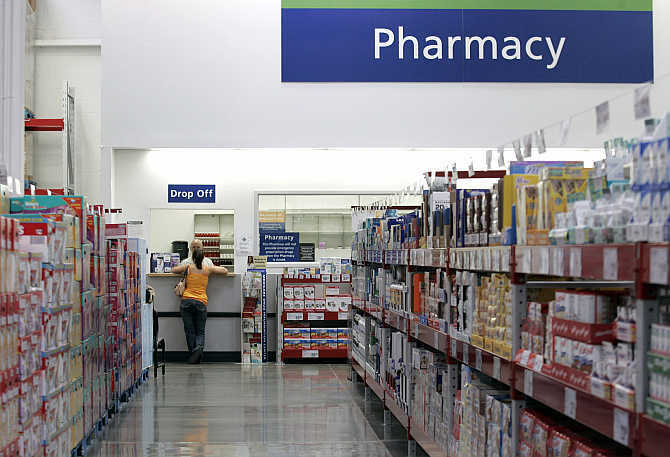 Physicians do not have a say in which generic drug a patient receives, as that depends on which products are stocked by individual pharmacies. 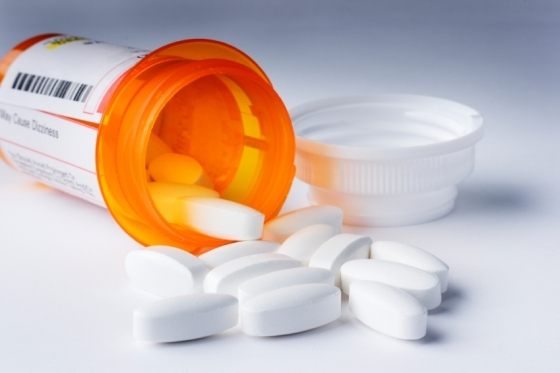 If a patient wants to avoid a certain manufacturer, he or she may have to change pharmacies. Doctors may specify that the branded version of a drug be dispensed, but insurance companies frequently refuse to pay for them. Dr. Richard Kovacs, who heads a number of American College of Cardiology committees and sits on its board of trustees, said doctors may need to play a greater role monitoring the medications prescribed by their practices. “The average U.S. cardiologist has been able to assume that the drugs were safe and effective. It now appears we need to be more vigilant as a profession, and assist the FDA by reporting cases where we are concerned about irregularities in the drugs supplied to our patients,” he said. The Shocking Truth About Aspirin – It Doesn’t Work! Aspirin has been around for over half a century. It’s primary and “original” use was for pain relief. But when Tylenol and NSAIDs (such as Advil) took over the pain relief field, the aspirin industry “bigwigs” pulled out the “big guns” and went after: heart disease. What the heck, they figured. After all, a billion-dollar medicine has to go somewhere. And like most businesses, you have to keep growing and finding new “revenue streams” to increase revenue and profits. The “big killer” of heart disease seemed like a natural avenue to go down. So aspirin decided to acquire “new indications” as a blood-clot fighter and is already widely used to treat and prevent strokes and heart attacks. Just about every male I know over the age of 60 (including younger men) and many women (BOTH my parents in fact) are taking “an aspirin a day to keep the doctor away.” Well, it didn’t work for apples and I don’t think it works for aspirin either. But that isn’t stopping its promoters from telling people it will do that and a whole lot more. So the “experts” seem to think that at least 95 percent of the population needs aspirin on a daily basis. But the dangers associated with extensive use of aspirin are downright horrifying. Researchers have reported that aspirin might, in fact, increase your risk for stroke, heart attack, macular degeneration (blindness), and cataract formation! You didn’t hear anything about these findings because no one reported on them in the popular press. So if you don’t read medical journals in your spare time, you probably missed these REAL bits of news. 40% of people who regularly take large doses of aspirin actually demonstrated an INCREASED risk of both stroke and heart attack. Regular aspirin users have a significantly increased risk of macular degeneration with blindness! Aspirin use also puts people at a 44% increased risk of cataracts. Of course, there’s always the widely known increased risk of gastrointestinal bleeding that accompanies aspirin too. And these sorts of findings weren’t published in some lowly rag. No, the highly respected prestigious rags, like the British Medical Journal, Lancet, and the Journal of the American Medical Association, came to a similar conclusion: aspirin shows no benefit in the prevention of heart attacks! Researchers have discovered the presence of a novel subtype of innate lymphoid cells in human spleen essential for the production of antibodies. This work was done by the B cell Biology research group at IMIM (Institut Hospital del Mar d’Investigacions Mediques) in Barcelona, directed by Dr. Andrea Cerutti, ICREA research professor and leader in the field of B lymphocyte biology. Innate lymphoid cells were recently described by the scientific community and represent the first line of immunological defence on our body surfaces, which are constantly exposed to bacteria, such as the intestine or skin. Dr. Giuliana Magri, member of the research group of B Cell Biology at IMIM and first author in the paper, said that for the first time it has been described both their presence and function in human spleen. We have discovered how these cells regulate the innate immune response of a subset of splenic B lymphocytes that are responsible to fight against encapsulated bacteria, causative agents of meningitis or pneumonia. This new finding improves our understanding on how the immune system protects us against infections. This research has been published in the journal Nature Immunology.